This page is to prepare your US Passport Application (Form DS-11). Please make sure you do not register with any other site that poses as the US Immigration Organization. To make sure you register with the US Immigration, check that US Immigration Organization is written at the top of the browser. Beware of Immigration Scams: It came to our attention that there are a lot of companies charging between $99.00-1600.00 (processing fee not included), while the actual preparation price with the US Immigration Organization is $149.00. Important: You cannot apply for a U.S. Passport in local USCIS office. However, you may do so in your local postal office. You may also start preparing your passport documents online, by clicking “Start Your Application” button above. 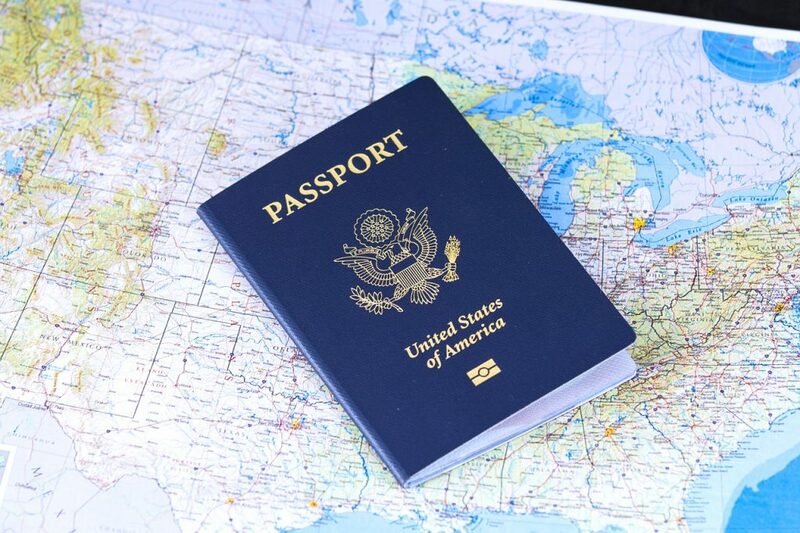 A United States Passport (also known as US Passport Book) certifies an individual’s identity and U.S. citizenship. A passport is an internationally recognized travel document that verifies the identity and nationality of its bearer. A valid United States passport has many uses. A United States Passport Book may be used to enter most foreign countries, as it is an internationally recognized travel document that allows the passport holder to travel abroad and to return to the United States. U.S. citizens may now apply for the new U.S. Passport Card and hold both a regular passport and passport card. 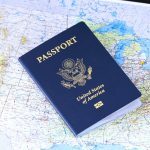 Due to the proposed measures of the WHTI (Western Hemisphere Travel Initiative), many U.S. citizens will be required to obtain a U.S. Passport Book or U.S. Passport Card. The U.S. Department of State (DOS) has the only authority to grant, issue, or verify United States passports, and does so through the Passport Services Office. This office of the Bureau of Consular Affairs (CA) provides information and services to American citizens about obtaining, replacing, renewing, or correcting/changing a passport. Until June 1, 2009, all U.S. citizens need to show proof of identity and proof of U.S. Citizenship when entering the United States from Canada, Mexico, Bermuda and the 17 countries of the Caribbean region by land or sea. 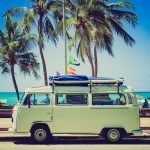 On June 1, 2009, that will change when the U.S. government implements the full requirements of the land and sea phase of the Western Hemisphere Travel Initiative (WHTI). The proposed rules require most U.S. citizens entering the United States at sea or land ports of entry to have a passport, passport card, or other travel document approved by the Department of Homeland Security. It is absolutely essential that you refer only to the U.S. State Department’s Western Hemisphere Travel Initiative information web site when planning travel to Mexico, Canada or the Caribbean. All US citizens traveling anywhere outside the United States will need a passport. All children regardless of age, including newborns and infants, must have their own passport. There are special requirements for All Minors Ages 16 & 17. A U.S Passport is not required for direct travel within the 50 States (including Hawaii, Alaska, and District of Columbia) and U.S Territories (Puerto Rico, Guam, U.S Virgin Islands, Northern Mariana Islands, American Samoa, Swains Island). However, if you are traveling to a U.S. State or Territory through another country (for example, traveling through Canada to go to Alaska, or, traveling through Japan to go to Guam), a passport may be required. What are US Passport Photographs requirements? You will need to provide two (2) identical, passport-quality photographs with you application for a US passport. You can take your own digital photographs if they meet the US passport requirements for digital photographs. What Proof of Identification is Required? How long will it take until I receive my Passport? Current processing times for US Passport applications can be found on the State Department’s Applications Processing Times web page. Once you have applied for a US passport, you can check the status of your application online. Routing Service (standard speed) takes approximately 4-6 weeks from the time of application received by US Department of State. Processing requests for expedited service in about 2-3 weeks door-to-door, when overnight delivery is requested and paid for both ways (to and from the passport agency). What are the New Requirements for Passport Applicants with Puerto Rican Birth Certificates? Beginning October 30, 2010, the Department of State will no longer accept Puerto Rican birth certificates issued prior to July 1, 2010 as primary proof of U.S. citizenship for a U.S. passport book or passport card. Only Puerto Rican birth certificates issued on or after July 1, 2010 will be accepted as primary evidence of U.S. citizenship. The requirement does not affect Puerto Ricans who already hold a valid U.S. passport. For more information on the Department’s policy for accepting Puerto Rican birth certificates, visit travel.state.gov/puertorico. The Government of Puerto Rico recently passed a law invalidating all Puerto Rican birth certificates issued prior to July 1, 2010, and replacing them with enhanced security birth certificates with features to combat passport fraud and identity theft. Can I prepare my US Passport documents using US Immigration Organization website?